The ever-growing acronym of LGBTQI might be adding a ‘P’ if polyamorous rights activists get their way and become officially recognized as a sexual orientation. The term, which means ‘true love’ in Latin and has been described as “consensual non-monogamy,” describes those who have more than one sexual partner, but only if all those involved are aware and supportive. The polyamory community has experienced some of that backlash and, as a result, certain activists want to receive the protections offered to their gay, lesbian, bisexual, transgender, intersex, and queer counterparts. Speaking to Vice, polyamorist Melissa Marie Legge said she always knew she was different. 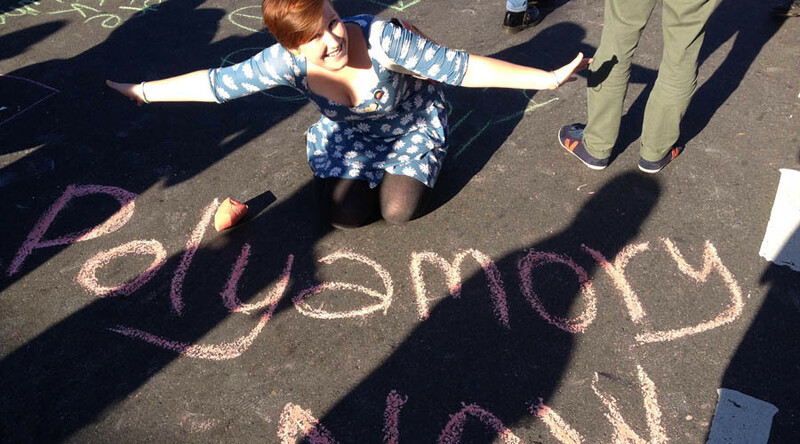 In the US, around 500,000 people are believed to be in polyamory relationships, according to Newsweek. Across the border, the Canadian Polyamory Advocacy Association, which calls for the rights of the “Poly Majority,” says the community has “custom-made” relationships. I think I prefer the facets of a polyamorous environment rather than a monogamous relationship. Different concept of loyalty. Referring to poly as “relationship models” and not “sexual identities,” Savage was slammed by the poly community for his comments. DAN SAVAGE. Seriously? If this is your argument against polyamory, stick to calling yourself a gay advocate and ditch the LGBTQ acronym. Last year, the Catholic organization Centacare in Australia fired a woman for being polyamorous, a decision upheld by a judge who said firing someone for being poly is not sexual discrimination. The debate on how polyamory is classed could also have legal implications in certain US states such as Alabama and Florida, where it is criminalized in the form of anti-adultery and anti-bigamy laws. Other states such as Connecticut have laws that restrict the number of unmarried adults who live together and such laws have been used against polyamorous families in the past. Though not polyamorous, an 11-person group, who were not related but classed themselves as a family in the city of Hartford, were told they could be forced to split up due to “zoning laws,” which prohibits the number of unmarried couples living together. Not all members of the LGBTQI community are comfortable with polyamory activists campaigning under their banner. Some believe it would open the door to other kinds of sexual activities such as cosplayers or foot fetishists. Relationship orientation is a challenging issue for the LGBTQI community, according to Neil McArthur, director of the Centre for Professional Applied Ethics at the University of Manitoba, who says it could be seen as less important in the struggle for equal rights. Polyamory has not been extensively studied, but the Canadian Research Institute of Law and the Family released a study this month on the country’s perception of polyamory and dynamics of such relationships.